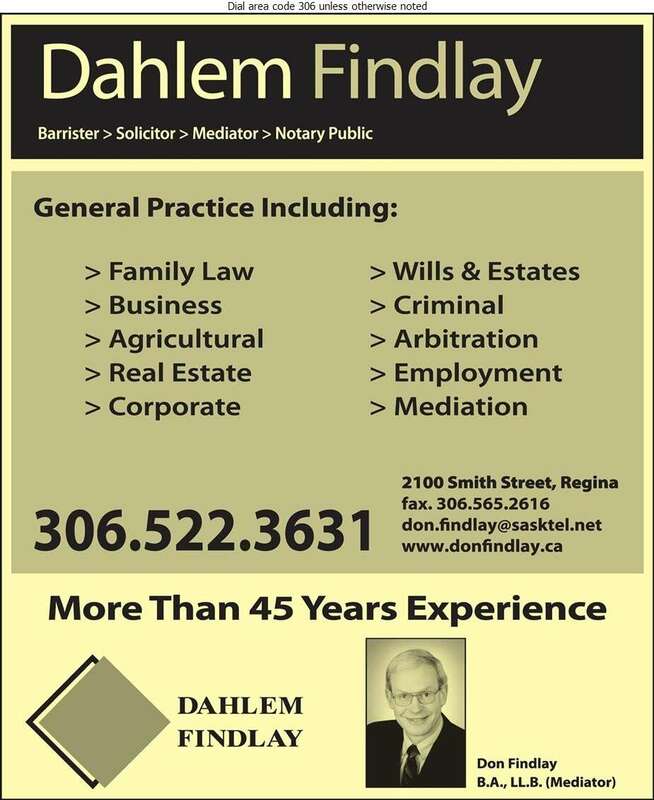 Since 1974, Don Findlay has appeared before all levels of court in Saskatchewan, the Federal Court and the Supreme Court of Canada. He has appeared before administrative boards including Arbitration Boards and the Saskatchewan Labour Board. Core to the identity of our firm, we pride ourselves on applying consistent effort and creativity to every project we undertake, from the routine to the most intricate, we put our best foot forward to provide the desired outcome for our clients. We embrace the objectives of each of our clients and have over 40 years of experience.